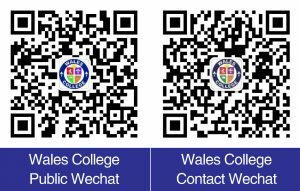 Wales College’s ESL program is carefully designed to be efficient, flexible, and personalized to suit the needs of each student. This is the language program that prepares our international students to study academic courses with our local students. Students will obtain credits from the Ontario Ministry of Education for studying this Academic ESL program. These credits can be used towards the Ontario Secondary School Diploma (OSSD). The Academic ESL program emphasizes reading, writing, vocabulary and practical speaking skills, as well as a plenty of vocabulary needed to be successful in academic courses such as science, mathematics and language arts. The program is taught by experienced ESL teachers in very small classes. Students will also learn about Canada’s culture and diversity, as well as a variety of study skills necessary for the successful completion of their studies in Canada. In summary, international students studying in our solid and effective Academic ESL program will gain necessary and useful skills required for success in both the regular school system and in an English-speaking environment. 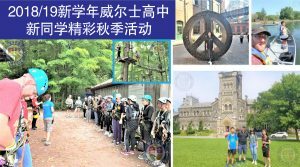 As part of the interactive and community based focus of the Academic ESL program at Wales, we go on frequent field trips that are not only educational, but allow students to become more familiar with the city of Toronto and the culture within our community. These trips include, but are not limited to, visits to such local institutions as parks, libraries, bookstores, museums, galleries, restaurants, and cultural events organized by the city. Our ESL program prepares Wales students whose first language is not English to study intensive high school academic courses in the English language, which will in turn prepare students for university entrance. It is not just a Language program; it is also a program allowing students to gain up to 3 academic credits toward an Ontario Secondary School Diploma (OSSD). During the summer and winter months, we also offer international students safe, fun and challenging English camps. Students will spend several wonderful weeks in Canada, studying English in a local school environment, visiting marvellous sightseeing venues, and experiencing Canadian life. Similar programs are also offered throughout the year on a customized basis.